Many of you know that for some time now I’ve been particularly interested in how we skeptics (i.e. those of use who take an evidence-based view of the world) can engage those of a non-skeptical mindset. In fact, I’ve been explicit about this in past musings wherein I discuss how to have meaningful dialogue with creationists or self-declared ghost hunters. Now I am happy to report that there is a book out – Sharing Reality by Jeff T. Haley and Dale McGowan – which tackles exactly this topic in great detail. As a professional high school and college science educator of 20+ years, and as a self-professed skeptic of all things supernatural, I found that Sharing Reality provided something that many of my colleagues have struggled with: a method for effectively communicating science and critical thinking without alienating people who are reachable. 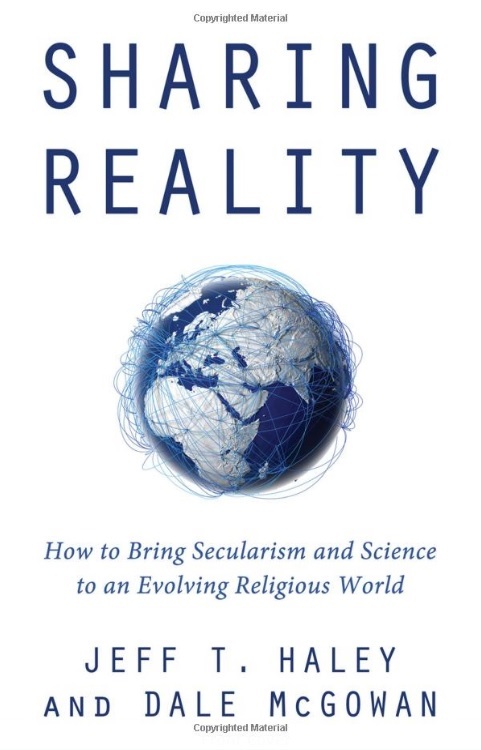 Sharing Reality is a must-read for those proponents of science, adherents to an evidence-based worldview, and defenders of secularism, because it provides a road map for how to engage in productive discussions with those who don’t necessarily share that worldview. If we are serious about advancing science, secularism, and evidence-based critical thinking in general (what the authors refer to as “evidism”) beyond our own echo chambers into wider society, then we would be wise to follow the advice contained within Sharing Reality to start engaging people in broader discussions of these issues. I am happy to announce that the Skeptical Teacher will be joining a coalition of skeptical activists called the Skeptics for the Protection of Cancer Patients (SPCP). The Skeptics for the Protection of Cancer Patients is a grassroots group devoted to the promotion of promising, ethical, and transparent cancer research. For more about this project and the group sponsoring it, visit thehoustoncancerquack.com or visit their Facebook page. Also, please consider donating either some of your time by promoting the cause (if you have a blog or media contacts) and/or your money to the legitimate scientific research of cancer. *Dr. David Gorski has a new Science-Based Medicine post out as of this past Monday on Burzynski’s antineoplastons treatment. 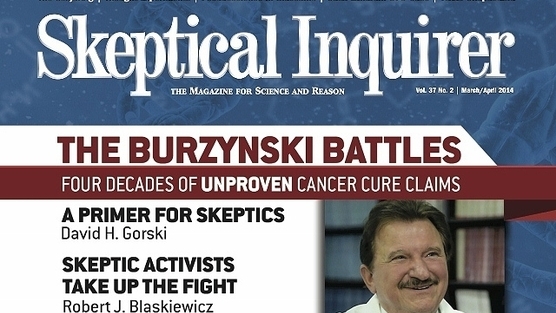 Science-Based Medicine » Dr. Stanislaw Burzynski’s antineoplastons versus patients. The U.S. FDA has sent a letter to the Burzynski Research Institute to cease claiming that their brain tumor treatment, antineoplastons, are safe and/or effective for the purposed for which they are being investigated. In other words, Burzynski’s claims on websites and promotional materials that this treatment WORKS is a violation because supposed to be testing that! * Supporters often use patient anecdotes to sell his unproven treatments at the Burzynski Patient Group. We have started curating a collection of patient stories at The OTHER Burzynski Patient Group, the ones Burzynski would rather you not hear. Also, these stories can be exported to your own website IN THEIR ENTIRETY via the storify site they were created on. Free content, people. Just sayin’. *Orac, an oncologist, cancer researcher, and patient advocate, has written extensively about Burzynski at Respectful Insolence. *Learn the whole story at Josephine Jones’s Blog. She has kept a comprehensive list of content about Burzynski, his clinic, and his chemotherapy on the web. 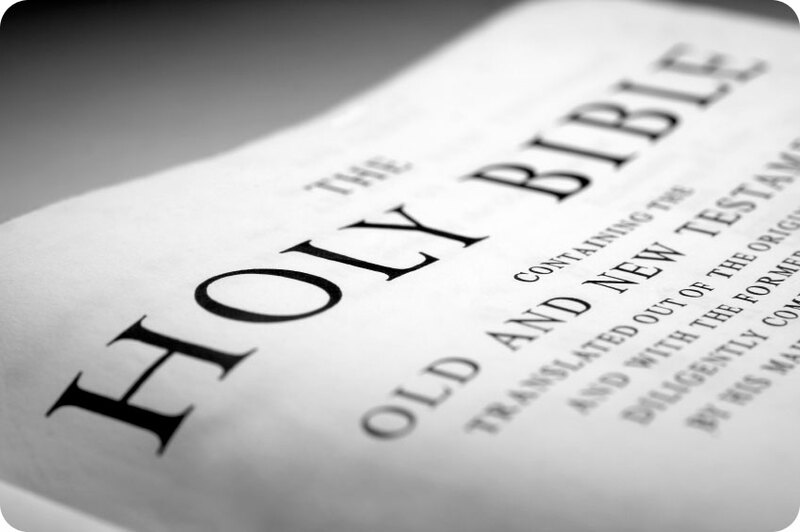 An invaluable resource! *You might be interested that the EMPLOYER of one of our members (of SPCP) was recently contacted by one of Burzynski’s misguided supporters. Like many of you, I was saddened to read the news of Patrick Swayze’s untimely death – Roadhouse will forever be one of my most favorite movies. Unfortunately, there are those who will look to take advantage of any opportunity to push their pseudoscientific nonsense, just as the douchebags over at NaturalNews.com have done regarding Swayze’s death. Beloved actor Patrick Swayze died yesterday evening after a 20-month battle with pancreatic cancer. Having put his faith in conventional chemotherapy, he largely dismissed ideas that nutrition, superfoods or “alternative medicine” might save him, instead betting his life on the chemotherapy approach which seeks to poison the body into a state of remission instead of nourishing it into a state of health.